Prasugrel Impurity 8 (4-F-PM-A) is an impurity of Prasugrel.Prasugrel is a platelet inhibitor. Ixekizumab is a humanized immunoglobulin G subclass 4 (IgG4) monoclonal antibody (mAb) against interleukin-17A (IL-17A) and prevents it from interacting with the IL-17A receptor. cis-ent-Tadalafil is one of the impurities of Tadalafil, which is an inhibitor of phosphodiesterase 5 and could be used in the treatmen of erectile dysfunction. Ezetimibe Tetrahydropyran Impurity is an impurity of Ezetimibe. ABC-1183 is a selective dual GSK3α/β and CKD9 inhibitor. Felodipine 3,5-Dimethyl Ester is the dimethyl ester analogue of the calcium channel blockers Felopidine and Nifedipine. FDL169 is an experimental therapy for cystic fibrosis (CF) that is being developed by Flatley Discovery Lab. Dalargin has originally been proposed as an antiulcer agent with cytoprotective properties, but it has been tested for other activities with promising results. E-7386 is an orally active CBP/beta-catenin modulator. eFT508 is a MNK1/2 inhibitor. 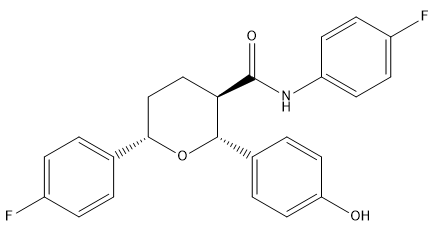 Darusentan (LU-135252; HMR-4005) is an endothelin receptor antagonist. Valsartan Benzyl Ester is an intermediate of Valsartan. Des(oxopentyl) Valsartan is an impurity in the synthesis of Valsartan. 6-Desacetyl Palbociclib is an impurity of Palbociclib, a selective inhibitor of cyclin-dependent kinases CDK4 and CDK6. 5,7-Dihydroxy-4-methylphthalide is a possible impurity of Mycophenolate Mofetil which is an immunosuppressant. Cefdinir Isoxazole Analogue is a Cefdinir impurity. 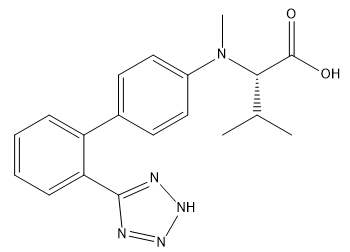 Nedisertib (M3814) is a potent and selective inhibitor of DNA-dependent Protein Kinase (DNA-PK), with an IC50 of <3 nM.